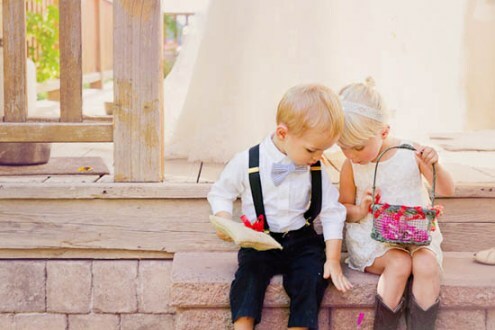 Attending a wedding will give anyone a headache as there are so many things to consider, but for parents it gets even harder, as they will have to decide on how to dress their children up. Furthermore, as a parent, you have to take into account all the little factors that will decide on the clothes you should choose. 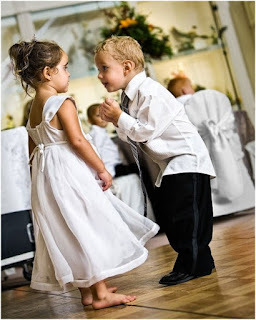 As much as you would like to have your kid get dressed in formalwear, it will be impossible for some. Considering their age, you might have to get several outfits to take with you to the wedding, if you need to make a quick change for them. Remember that sweatpants and oversized clothes are absolutely out of the question, no matter what. Most certainly your kid will outgrow the wedding clothes you will get them, unless they are in their late teens. But, shopping for the little munchkins can be problematic because you have to think about whether or not you can use those clothes again. Saving money on wedding clothes is possible, but you will have to get creative. Bear in mind that you should opt for cotton and other comfortable material, so that even if your child wears them for a while, they will be comfy and not a problem to wear. Avoid renting eveningwear for them, as it can often be too much for a simple wedding. Get creative and combine stylish clothing you already have at home so that your kid can look great, and that you will not have to spend a lot of money, and time on making your kid look great. Be careful not to combine too many colours, and to stick with a simple design. Make sure to look for cues from the wedding invite what the theme will be and how you can go about it with your kid’s fashion statement. 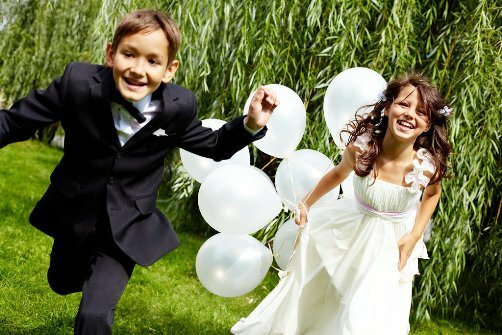 Moreover, you are not there to impress, that is the bride’s job, your child should have fun and they should feel comfortable doing it. 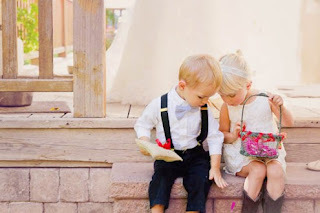 The ring bearer and the flower girl will play a key role at the wedding, and if you want your child to feel comfortable make sure to buy new flower girl shoes. Though, keep in mind that you should avoid spending too much on them, because they will outgrow it, and it could cost too much for a wedding. But, if you can find a dress for multiple purposes other than a wedding, be sure to buy without hesitation. While it is a great idea to accessorise, it is best not to give your children to wear too much, because it could inhibit their movement or in the worst case scenario, they could lose it. Keep things simple and fun, and make sure that you talk about keeping things safely stored if they are not going to wear it. Because you are all at the wedding to have fun and not to worry about things. Choosing appropriate attire for your children will be a tough task, and you should plan ahead so that you can have everything set up properly, and that you do not have to worry about last-minute changes. Furthermore, bring spare changing clothes as well, because a long day at a wedding can be exhausting for your kids, and they will need something more comfortable to be in. Though, make sure that you follow proper wedding etiquette at least for the ceremonies.